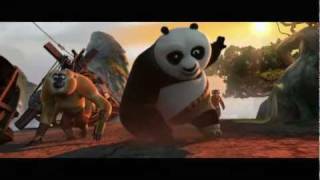 The film continues the adventures of Po the Panda (Jack Black) and and his friends known as the Furious Five - Tigress, Crane, Mantis, Viper and Monkey. This time the story follows Po who, whilst in search of other pandas, happens across a group of bandits. Gary Oldman will voice a character called Peacock who helps Po on his way but is more than he seems.